Home Proludic news Our 2019 Technical Catalogue now available! 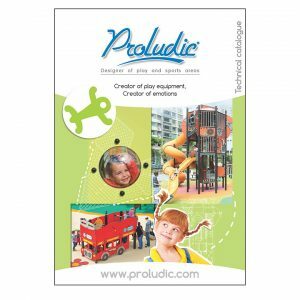 Our new Proludic 2019 Technical Catalogue is full of ideas to make your play area, outdoor fitness or sports area stand out from the crowd! Click here to request your copy or browse it online here ! The Play section has more than 40 new items: Roll Runner®, Rotofun®, Elves’ Playhouses®, the Van®, the Pick-Up® as well as new play panels, our award-winning Kanopé range now available in timber colours and multiplay equipment in the Diabolo range accessible to children from 2 years old. 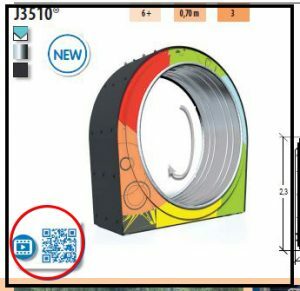 See the products in real play scenarios by watching our videos ; simply scan the QR code to start viewing. Ideal for watching the Roll Runner® in action for example! More than 40 exciting new products, more photos, video links… our 2019 Technical Catalogue will provide you with inspiration and practical knowledge to assist you with your play and sport projects. Contact us to order your copy today !